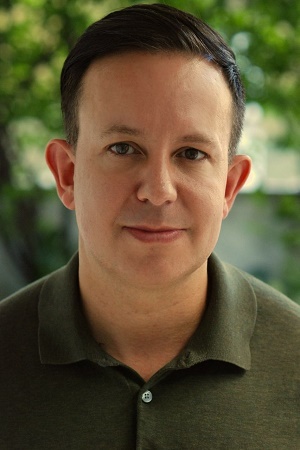 Self-Publisher’s Showcase: Today we are joined by J.James, author of Happy Never After. Welcome to the Showcase Lounge. JJ: Thank you for opportunity. It is great to be back here. JJ: Sure. I originally from the UK but have been living in South East Asia now for over 10 years working in the field of educational leadership which is where my love of creative writing stems from. 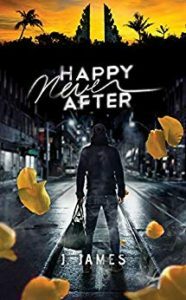 ‘Happy Never After’ is my second book to be released following the success of my first book, “Denial Deceit Discovery’. SPS: Your latest novel is about a young man -Robbie. What can you tell us about the man we first meet? JJ: Robbie is a hopeless romantic. He dreams of a Hollywood movie romance and his expectations are never met. But he is needy and afraid to be alone so he settles for a less than perfect relationship. He hasn’t come to realise that people can be happy independently from the need to be with someone else. SPS: What can you tell us about the struggles he faces on his journey to become a stronger, more confident man? JJ: As we come to know Robbie more we see that many of his issues i.e low self-esteem, neediness etc stem from his rather awkward relationship with his parents who he feels he is continues to let down. We see his parents have also not provided the best role model of true love for Robbie. Quite early on in the story we see Robbie having no choice but to accept that his current relationship is doomed which is really the beginning of his journey to become more confident and stronger. We see him make the big move to Indonesia alone which is very out of character. He finds a job and learns to support himself. He makes new friends, finds an apartment and it looks like he might just find true love. SPS: Where there any parts of the story that you found harder, emotionally, to write? JJ: Whenever I write I draw upon real events either I myself have experienced or close friends have. I feel it makes the writing more authentic and the emotions more genuine. So writing about Robbie’s cheating partner I have to admit came from my own previous experience. Without giving too much away about the story it was also hard to write the ending to this book. Sometimes you grow quite attached to the characters you invent. SPS: Does the novel contain any personal experiences or it a complete work of fiction? JJ: As I mentioned, I draw upon personal experiences of myself or others. The story reflects things have gone on in my life. The characters are often built around people I know but essentially this book (unlike my first) is a work of fiction. It is funny when some people comment that some of the characters irritated them or they were not realistic when in fact they were based exactly on some of my friends hahaha. SPS: What made you chose to set the novel on the island of Bali? JJ: I have been fortunate enough to travel around the world. Out of the amazing places I have been Bali is my favourite. It has this amazing mysterious draw to it that I cannot explain. The culture is incredible and the people are so beautiful inside and out. I have returned their many times and each time I explore and find something new. I am also biased as my husband is Indonesian and so I have a lot of real experience to draw upon when I write about Bali or Indonesian culture and people. SPS: Who do you feel the novel would appeal to? JJ: The obvious target would be gay males or readers who enjoy male/male romance but that is not who I personally wrote the book for. It is my personal mission to see more books written that have gay characters or themes but are for a general audience. I feel there is lack of mainstream books that address this. The majority of LGBTQ+ books are very strongly written towards a gay audience and in my opinion often over sexualised. I would prefer my books not be categorised as LGBTQ+ but the content help to educate the wider community on the struggles, issues and problems that LGBTQ+ people sometimes face. SPS: How did you feel when the novel was complete and published? JJ: Because I have a full time job in addition to writing I am not able to focus on my writing as much as I would hope to the timescales I write over feel incredibly long so when I get to the point of completion it is a tremendous milestone! There is such a sense of accomplishment but also it is quite an anxious time. There is always the temptation to never let go of the book and to keep going back and back to edit, improve or change. I try desperately not to over edit because I want my writing to seem real and honest and quite raw. I feel that is what makes my style a little different. When you see your book published and when you receive the first printed copy the feeling is a little overwhelming. To know that this book will be read by people (hopefully!) around the world is so exciting. And I stand by my original thought when I began writing in 2012. If my writing helps just one person understand their feelings or gives one person comfort, then I have achieved something special. I have to say the best feeling is when you see your book on a shelf in a book store or at the airport. SPS: Have you left room to expand into a second novel and tell more of Robbie’s story? 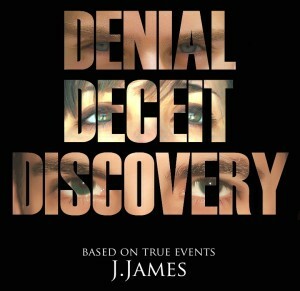 JJ: Ever since I published, ‘Denial Deceit Discovery’ people have asked me for a sequel. I feel the same way about both my books – I am not convinced there is a need. To me, if a reader finishes a book and longs for a book two that Is the perfect compliment for me. I don’t want to risk disappointing them with a follow up that lets them down. So many sequels to films and books are disappointing – not because of the writing but just being unable to meet everyone’s expectations because each reader takes away something different from a book. A book that leaves you with so many unanswered questions is the perfect book to me. It is frustrating for the reader but exciting at the same time. JJ: I think it really depends on how a reader arrived at the start of the book – what is going on in their own life. For example, if someone is just dealing with a break up then the book will give them hope of a brighter future. If someone has not found that perfect someone it may help them to realise you don’t to be with another person in order to find happiness. I think there are enough themes and characters in the book for different readers to attach too. Sometimes readers hate a character and I think that this is still an emotion and still encourages the reader to look within. SPS: Have you picked up any lessons in writing your first two releases that will help you in planning/executing further work? My first book will always be special to me because it is a memoir of my life and I believe the themes dealt with continue to be so important for our LGBTQ+ community. That book was very raw and I do not think the quality of my writing was the best. I felt I was able to develop my voice more in the second book and learnt to show the audience rather than tell them. I think the lesson I have learnt from writing book 2 is about writing from imagination and not just retelling a story. SPS: What do you have planned to do next in the writing world? JJ: The next book I am working on is actually targeting women though I believe male readers would equally enjoy it. I am experimenting with the idea of telling a story from the point of view of more than one character. It is a real challenge for me but so far it is going very well. JJ: Thank you so much for allowing me to talk with you today. It has been a pleasure.